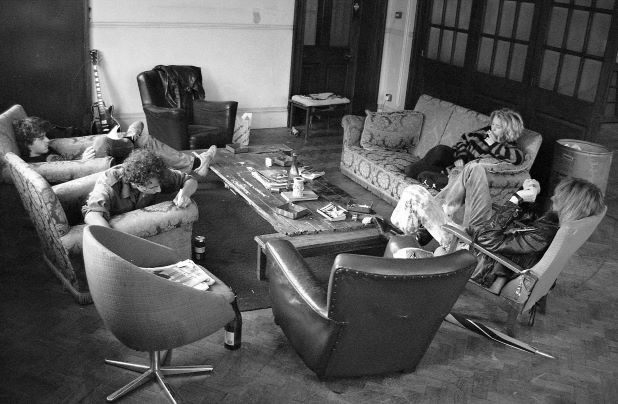 Traditional Sunday afternoon gathering (1989) Old library squat, Victoria Street. Sam and Dave (1985) Lower Dagnall Street roof, checking out the Cathedral. 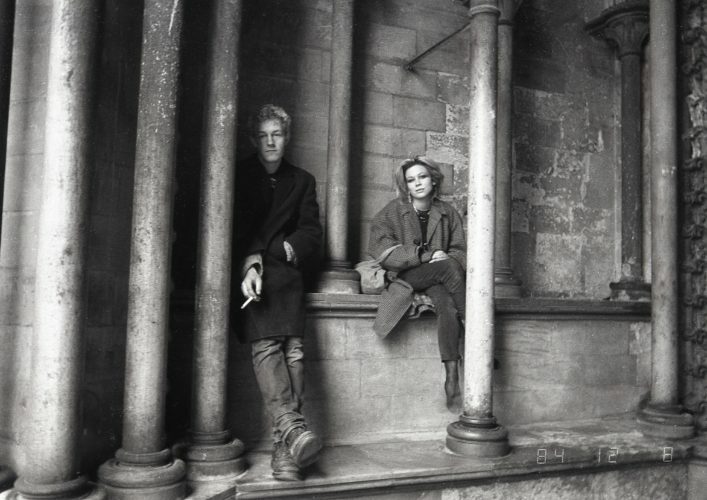 Chris Pearson and Nicola Beckles (1985) At the front of St Albans Cathedral. 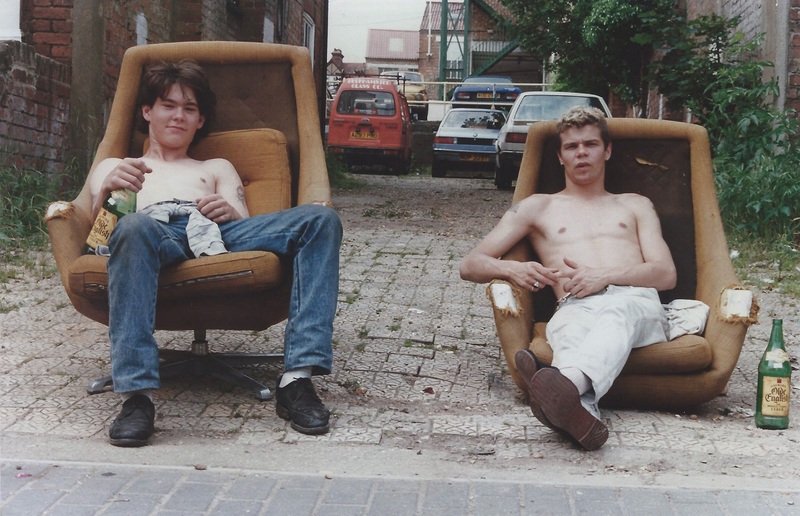 Harry Hood and Miles Rolph (1987) Sitting on the swivel chairs outside Lattimore Road. Charlie Murray lounging in the lounge, (1988) Lattimore Road. 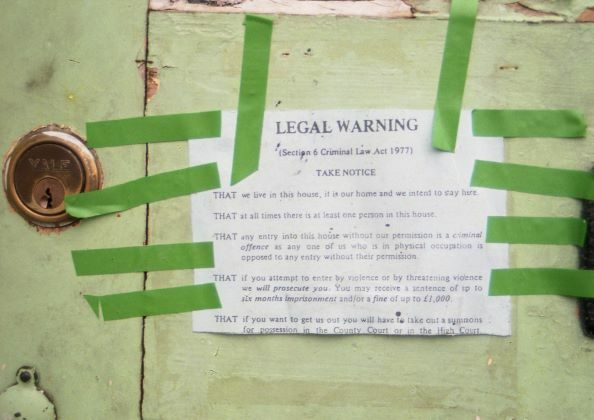 Legal warning notice (1986) This legal warning had to be fixed to all externals doors to stop eviction without a court summons, Lattimore Road. 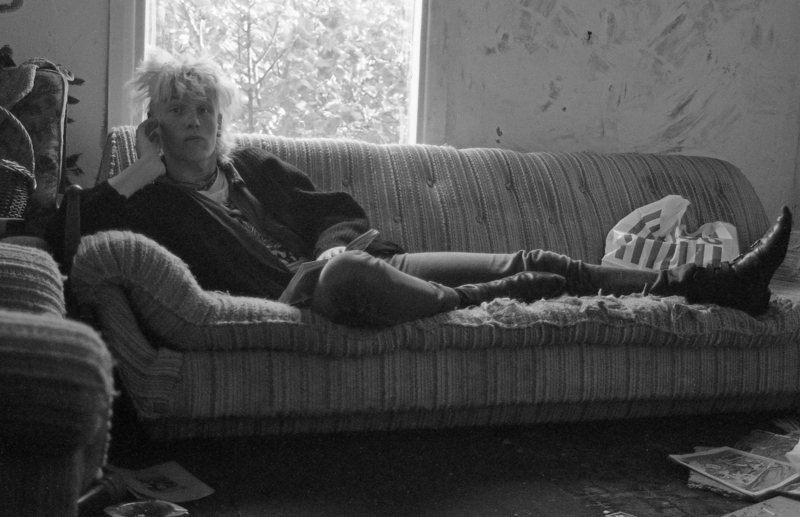 Squatlife explored the hidden heritage of homelessness in St Albans, with a photographic exhibition of Dave Kotula’s gritty images of squatted premises in the 1980s. Through this project, heritage which might otherwise have been lost has been conserved for the community today and for future generations. 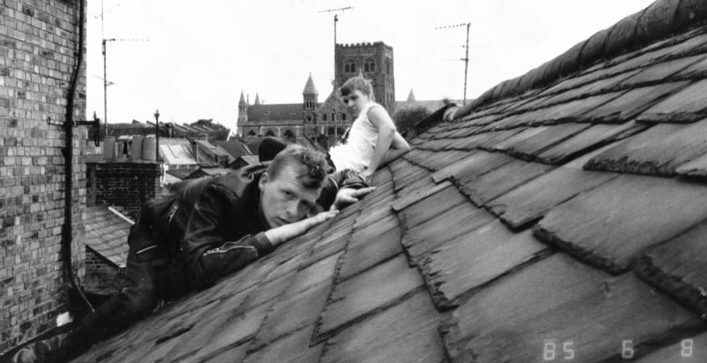 The exhibition included a display by the St Albans & Hertfordshire Architectural & Archaeological Society, which highlighted the often-harsh treatment meted out to those punished simply for being poor and homeless. The voices of the present day homeless were recorded and shared, to encourage a better understanding and appreciation of the local homeless community. Herts Young Homeless (Live Life), captured snapshots of their daily lives to provide a visual voice into life on the streets and sofa surfing. Other homeless residents from the district, worked with Cardboard Citizens Theatre Company to create and produce a play about their experiences. A wide range of people engaged with the project through workshops for young people, heritage guided walks, film screening and street music events.